In September, 2014, 43 students from Mexico’s Raúl Isidro Burgos Rural Teachers' College of Ayotzinapa vanished after being attacked by police and army units near the town of Iguala and delivered to a local crime cartel. Although only one of the “Ayotzinapa 43” has been identified among the remains in a mass grave, Mexico has officially closed the case. 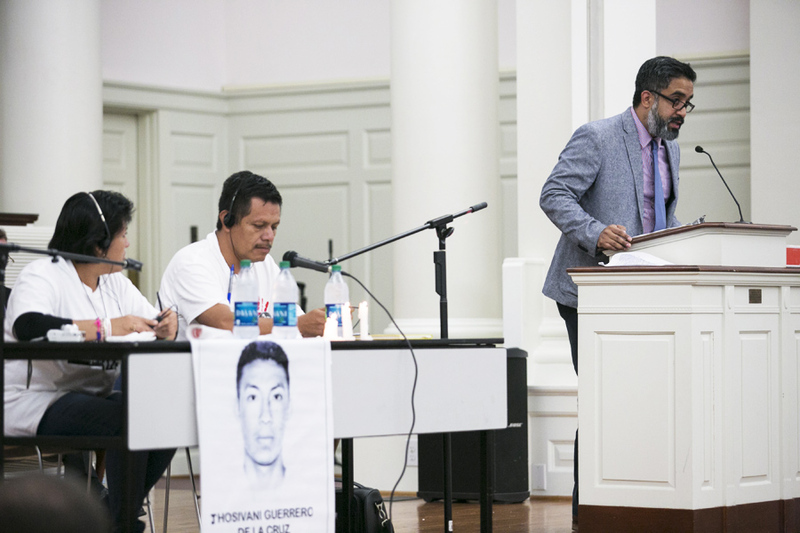 Carlos Alemán, director of Samford’s Latin American Studies Scholars program, worked with Miguel Carpizo of Greater Birmingham Ministries to arrange the “Caravana43” group’s visit to Birmingham. Alemán said the visit serves a reminder of Birmingham’s role in the U.S. Civil Rights Movement, demonstrates the demographic growth of the Latino population in Alabama, and “makes clear that Samford University is a destination point for people who are interested in discussing and learning about international human rights and social justice issues."